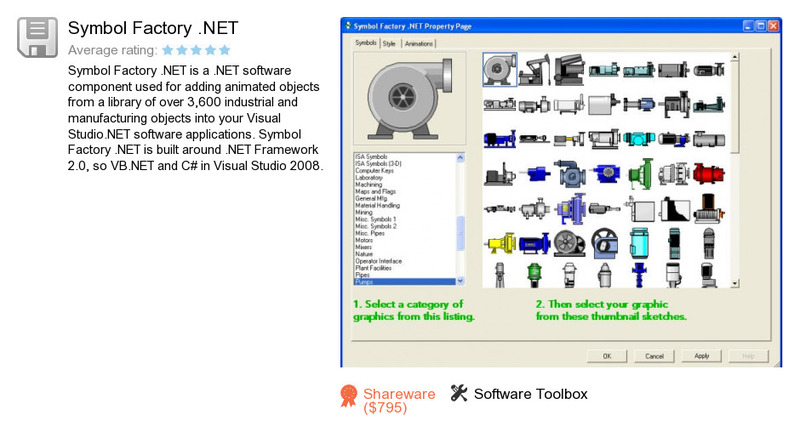 Symbol Factory .NET is an application developed by Software Toolbox. We know of versions 2.0, 1.1. Version 2.0.221 is available for free download at our site. Symbol Factory .NET installation file has a size of 24,743,311 bytes. Software Toolbox also publishes OPCData.NET Build.